The Central Valley of California is an enormous economic force, producing over one-third of the nation’s vegetables, two-thirds of its fruit and nuts, and contributing billions of dollars annually to the California economy. Unfortunately, many of California’s farming communities still lack reliable broadband Internet access. This lack prevents farmers from using cutting-edge technologies and real-time data inputs that would improve agricultural production, and severely hampers educational opportunities that support farming and growth. A particularly acute example of this is in the western Central Valley, where less than half of the population has access to broadband, the median income is $20,289, and agriculture is a leading economic driver. Government, education, and industry leaders in the area are working to provide communities with the resources they need to grow food as well as jobs. CENIC, the organization that runs The California Research and Education Network CalREN, contributes to generate stronger connectivity in the region. 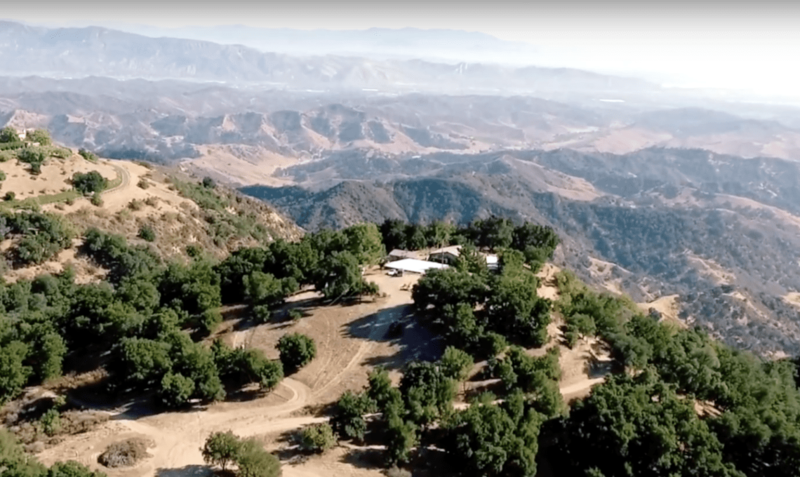 Robert Tse, the California Rural Broadband Development Coordinator for the USDA and longtime organizer for California’s agricultural community, imagines what farmers can accomplish with greater connectivity. While working with technology developers and farmers, Robert has seen first-hand the benefits technology can bring. “When moisture sensors are deployed in fields,” Tse said, “agricultural economists have found that farmers can realize a 10 to 20% decrease in water use as well as a significant increase in field output.” In a state plagued by drought, using less water to grow more food is a major improvement. Benefits like these would have an immediate impact on farming communities and overall production. But, without broadband connectivity, such tools remain out of reach for many farmers. Expanding connectivity also enables the dissemination of real-time information, like weather predictions and experimental approaches to crop management. One of the main missions of the UC Division of Agriculture and Natural Resources (UC ANR) is to provide farmers with up-to-date science and information. Gabe Youtsey, UC ANR’s chief innovation officer, emphasized how improved connectivity would further UC ANR’s mission: “To fulfill our education mission, research centers host local farmers at meetings and field days. With connectivity, those that live too far away to travel will be able to receive real-time video streams. Also, online learning can significantly expand the reach and impact of the 200 locally based cooperative extension advisors and specialists.” Several of UC ANR’s facilities now have broadband after being hooked up to the CalREN fiber backbone. Vice Chancellor Linda Thomas of the West Hills Community College District is particularly in tune with the need for broadband access in conjunction with education. In her presentation at the 2018 CENIC annual conference, she cited the Brookings Institution’s summary of the impact poor connectivity has on education: “Rural communities are less likely to efficiently provide Internet access to students in public schools, as most rural schools lack access to high-speed fiber and pay more than twice as much for bandwidth. In a growing world of personalized online curricula, Internet-based research, and online testing, this severely restricts rural students from educational opportunities their urban counterparts may enjoy.” West Hills Community College offers academic degrees like agriculture science technology and irrigation engineering technology. These programs teach students to use cutting-edge farming technology and software, but operation of such tools requires fast, efficient broadband. Yet extending access to these rural areas is often neglected, due to last-mile and middle-mile challenges. Laying fiber cable in the ground is not feasible in many places that remain disconnected. That’s where CEO Skyler Ditchfield and his company GeoLinks come in. GeoLinks is trailblazing the use of fixed wireless technologies to expand access with approaches that require less time and less infrastructure. “It can be difficult to meet the broadband needs of rural California with fiber connections alone,” said Ditchfield. “Fixed wireless broadband can meet the data needs, fiscal demands, and timeline to deploy these critical technologies across California.” GeoLinks uses solar and wind technologies to power carefully sited wireless towers that form a grid of connectivity across a community.